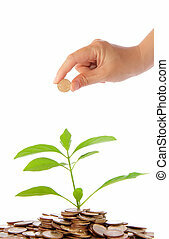 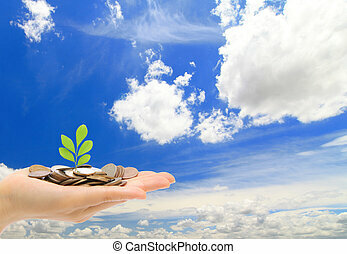 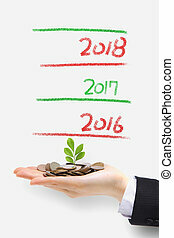 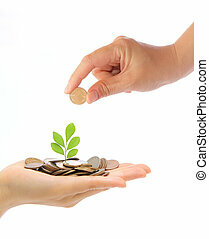 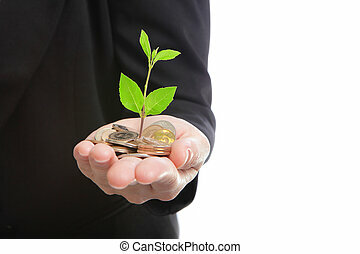 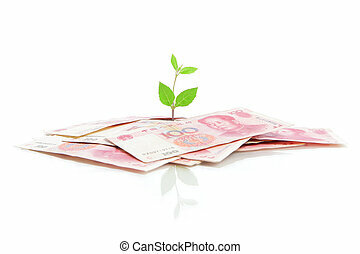 Check green plant from money. 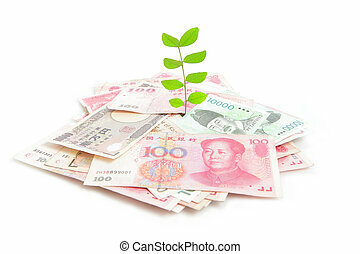 Check green plant growing up from money (asian money include china, japan, hong kong, korea, taiwan) through a magnifying glass. 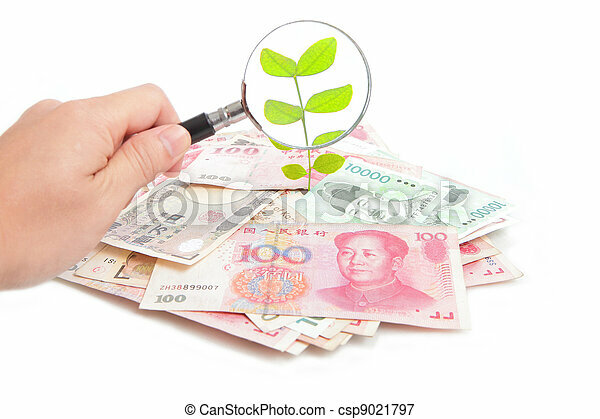 check green plant growing up from money (Asian money include china, japan, hong kong, korea, taiwan) Through a Magnifying Glass. 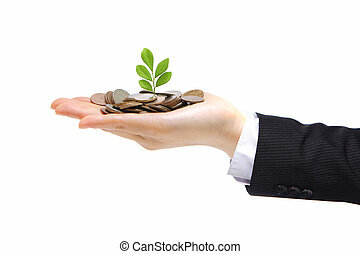 Hand and green plant growing from the coins. 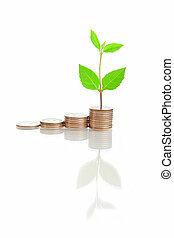 Money financial concept.